If you’re opting to install colorful siding along the surfaces of your home, you can make those colors pop with white and off-white trim. This trim option is a popular choice for rich, dark colors, since it works as an accent to compliment those colors. You’ll love how a dark pale blue pops out against off-white trim. 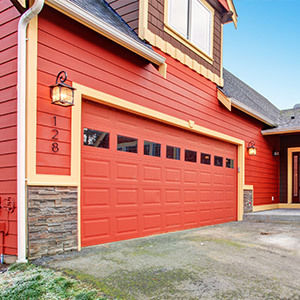 And your neighbors will notice a bold, red front door even more if it’s encased with white trim. White is a wise option for these homes, since the color of your siding will speak for itself. The white trim will work to ground these colors a bit, and they will accent the varying spaces of your homes facade. If you’re opting to install lighter siding on your home, grey trim may be the best option to complete the composition. Greys are a safe option, since they don’t draw too much attention to themselves, and — similar to white trim — they will have an “anchoring” effect on your home. Use grey trim against light siding, like light blue or off-white. 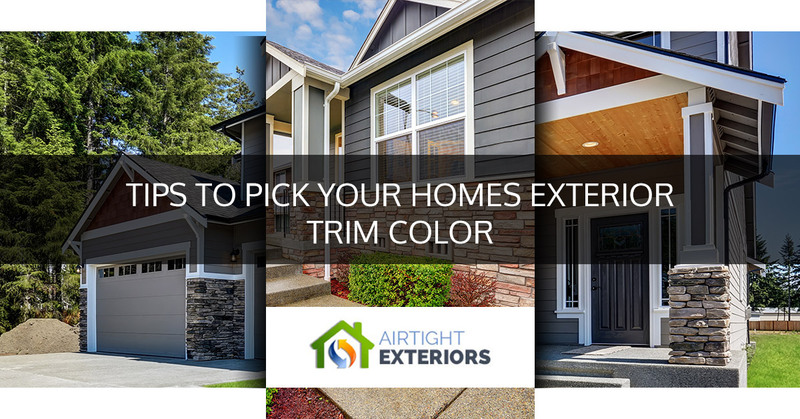 For more complex homes where there are multiple styles of siding, as well as trim, you’ll have to settle on a variety of colors. Consider starting with the main siding color and working outward. For example, you might opt for a blue-grey siding for the main elements of your house, followed by a neutral tan siding for secondary elements, and finally, white trim to encapsulate all of those features. Pick a palette that works well together, and avoid sets of bold colors that will look gaudy on your abode. Now, some folks prefer to match the color of their trim to the rest of the siding of their home. This can be an effective decision if you want to give your home extra weight in your landscape. Take note, matching the trim and siding of your home can be overpowering for larger homes, or homes with multiple stories. However, for ranch-style homes, it can give your home a quiet, more integrated look. Consider a one-story home whose exterior is entirely pale green — this home will look as if it is part of the surrounding landscape, especially if it is abutted by trees and bushes that are similar in color. Just be wary that too much of a good thing can overwhelm onlookers, so it’s best to stick to relatively neutral tones if you’re considering matching the trim color of your home to the rest of its siding. If you can’t make up your mind, don’t worry. We’re here to help. If you’re about to have siding and trim installed on your home, you can count on us to give you some advice and to see your project through to the end. Give us a call — we’d be happy to answer your questions and to provide you with a free quote for your upcoming project!